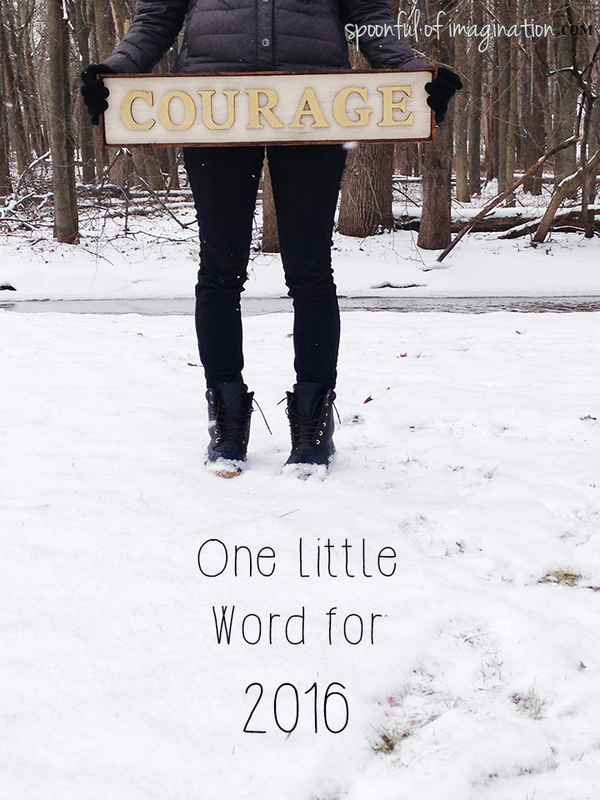 Its taken me a while to wrestle out all I’m feeling with my new word for 2016: Courage. 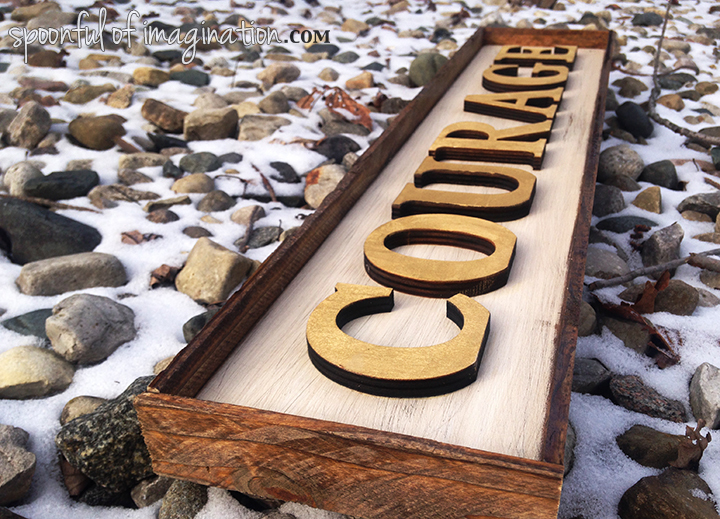 When I think of the dictionary definition of courage it reminds me that courage is a choice. 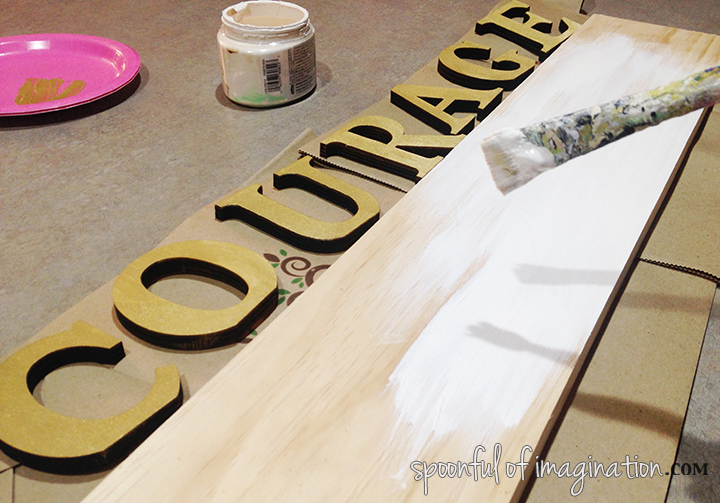 Courage enables a person to face difficulty without fear. It allows you to persevere and stand tall even though your circumstances make you uncomfortable. For someone who doesn’t like change. 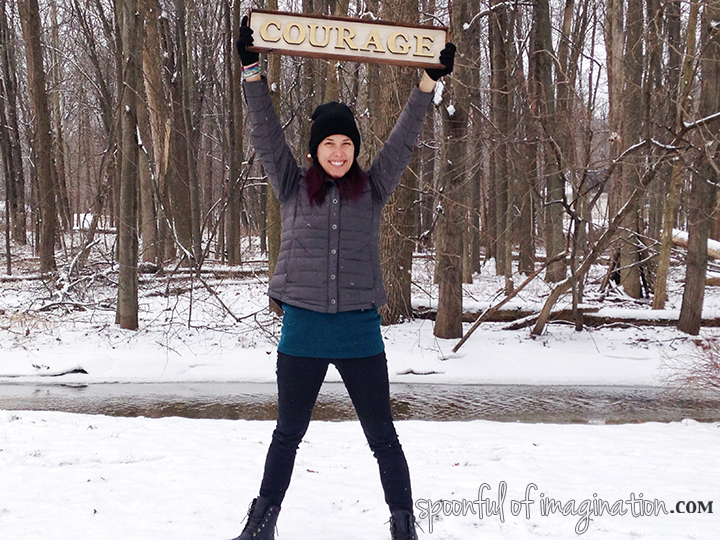 I realize that for me to change some of the behaviors and patterns in me and my life, I am going to need courage. I knew I couldn’t have a year like last year. We needed change to survive and not just stay there…but to be who we were created to be and use our God-given gifts in the best way possible. As I stepped away a little from blogging and social media in the last few weeks and months, I was able to think more for me. I went back to the basics as I was challenged by Rebekah Lyons in Freefall to Fly. I charted out my gifts. I reconnected with the things from my childhood that I LOVED and made my spirit come alive. I processed, what are my burdens today? Those things that make my spirit hurt. When I look at these lists and see who they represent…I see I have some work to be that person, alive in the ways I was designed to be. I need COURAGE to be me. 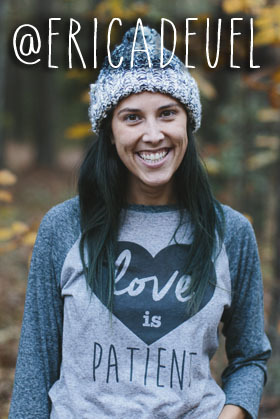 I became a wife when I was 21 and a stay at home mom straight out of college. There are lots of ways that the Erica I know today was transformed by the immediate need to grow up and take on my two new roles. Through the years I have fought to be me. I have blogged. I have crafted. I have hosted craft days and even tried to send out craft kits so that people could join me in crafting from all over the world. None of these things succeeded in bringing me fulfillment or contentment. I got tired of them. Worn out and moved on…even though they were using parts of my gifts. I don’t think they were things I was created to do. Through two books, alone time, journaling, lots of talks with my husband and a few close friends, I now see why I have wandered. My greatest burden is kids. I hunger for kids to feel seen, heard, and loved. Kids in foster care need that person, an advocate. They can’t speak or have authority over themselves. No wonder my most successful moments in adapting to change and the times I feel my spirit has been moved to be the most alive are wrapped around my experiences with my own kids and the ones that I have mothered from another mother under my roof (foster care). Now the question is, how can I best play a part with my talents and wiring to be used in influencing kids with Christ’s love? How can I best be a part of bringing restoration to hurting kids? 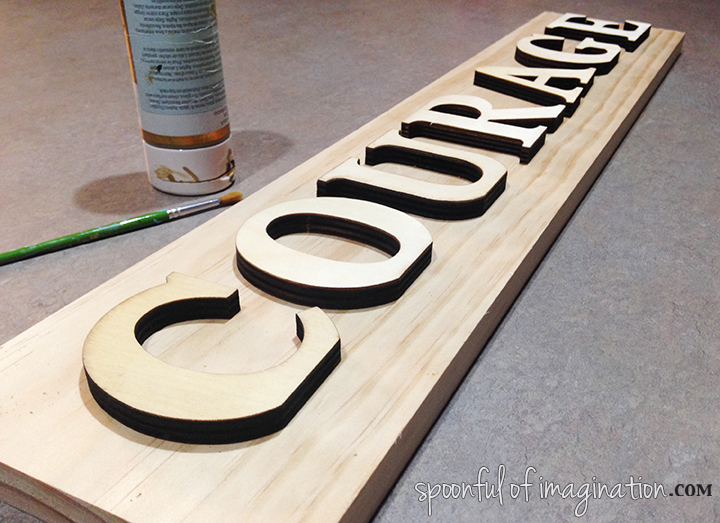 Instructions: I started with wood letters From Hobby Lobby and I found a board that was long enough to hold them. I’m wrestling through what is next for me. I am learning to allow the questions and processing to have their time to marinade and not just jump to assumptions. I am discovering that the think time and space for these thoughts is a courageous act alone. To feel all the feels…to think all those thoughts as you process takes work and energy. To not let life, business, or welcomed distractions stop the process takes courage. I desire to trust my heavenly father as the author of my story. I long for him to pen out a story only he can. I feel I’m in a season of waiting for what is my next thing. What is my calling? Can I simultaneously go for that as I a mom and wife (and teacher! 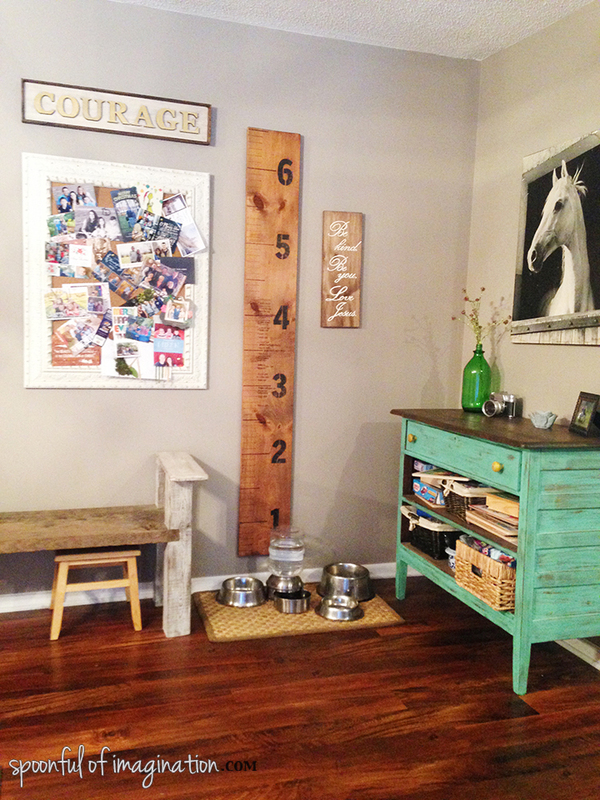 I always forget the little detail that we homeschool)? I believe I can, but it is a timing thing. 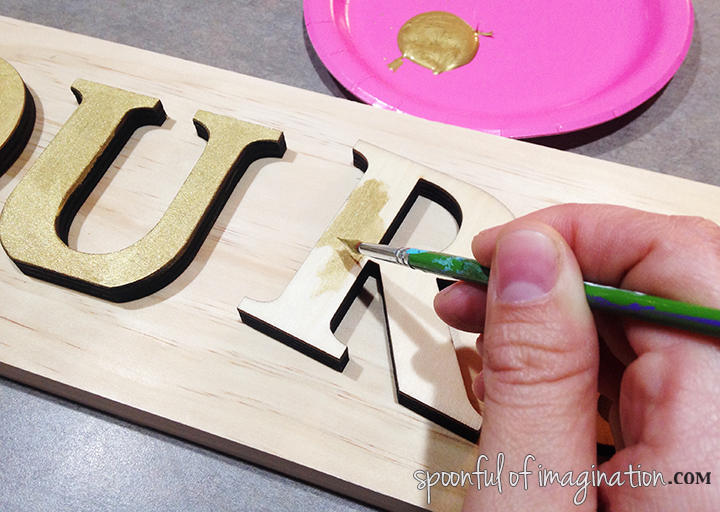 I then painted each letter with a small brush and an acrylic paint color that stood out to me. Courage to discover the real me and not the Erica I want to be. 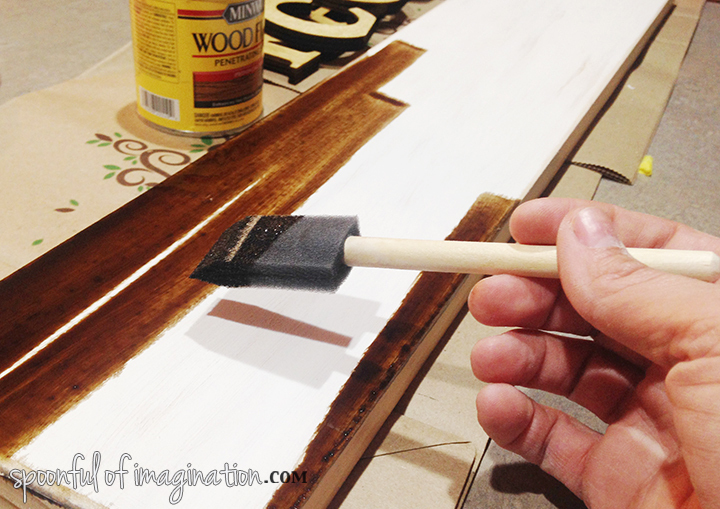 Next, I painted the board with a slightly bigger brush and a paint sample from Lowes. I then sanded and stained the board. I used my favorite Minwax color of wood stain, Early American. 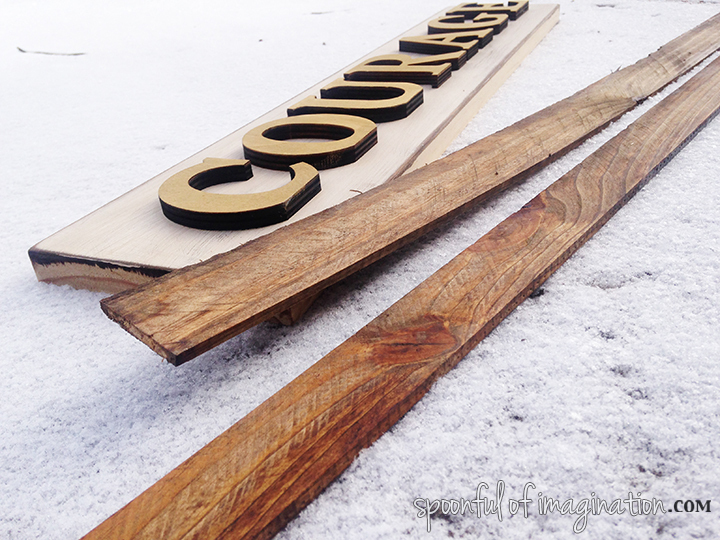 Once the board was good and dry, I used wood glue to attach my letters to the board. I was then ready to frame my sign. 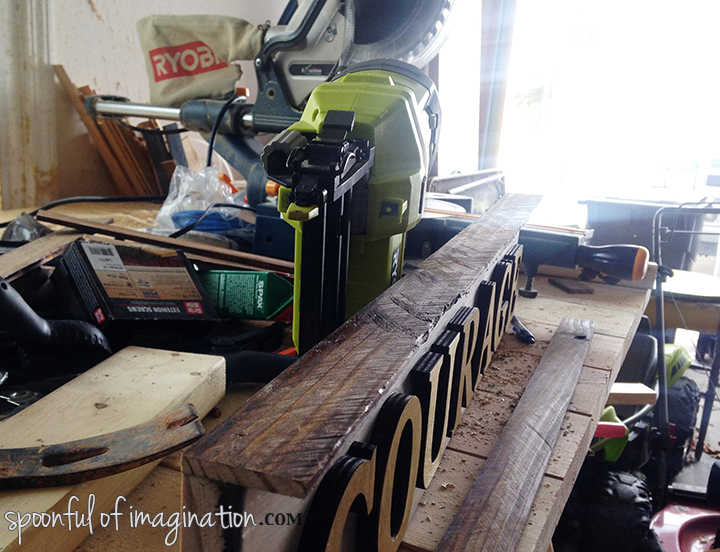 I used my Ryobi tools to cut and nail smaller, stained garden stake pieces of wood around my sign. My sign was then complete! This one little word holds a lot of depth for me. I realize I am making a choice to be courageous after life rather than being swallowed up with lists, mundane duties, stress, and the pressures of this world. I am fighting for a healthier me. One that is alive in who God intended me to be. If I can be fully me. I think my family, friends, and small world around me will be better off. I want to be fully set free and will have courage to fight for it. With this one little life, I want to believe I was made for a purpose and for it to be used to paint a story of God’s faithfulness in rescuing me and pointing others towards HIM. This might all seem confusing and broad as I know the in and out daily details have been left out. I hope you see the heart. I want to live with courage. I want 2016 to be marked by how I had courage for change and trusted God with my story. I made this little sign to hang in our kitchen as a daily, hourly reminder. I’m only a few weeks into some new routines. This long time “kids get me out of bed” girl is getting up early and reading. I’m getting lost in stories and learning for the first time (by choice) in a long, long time. I’m eating healthier…drinking more water…keeping my phone mostly docked on the kitchen counter, and learning what things to say no to in life. I’m finding rest in my schedule and spirit and seriously feel the rawness of 2015 melting a way and a beautiful surrendering soul being restored in the process. To God be the Glory. Go for it friends. It’s never to late to change and find those hidden dreams and wires that have gone awry. 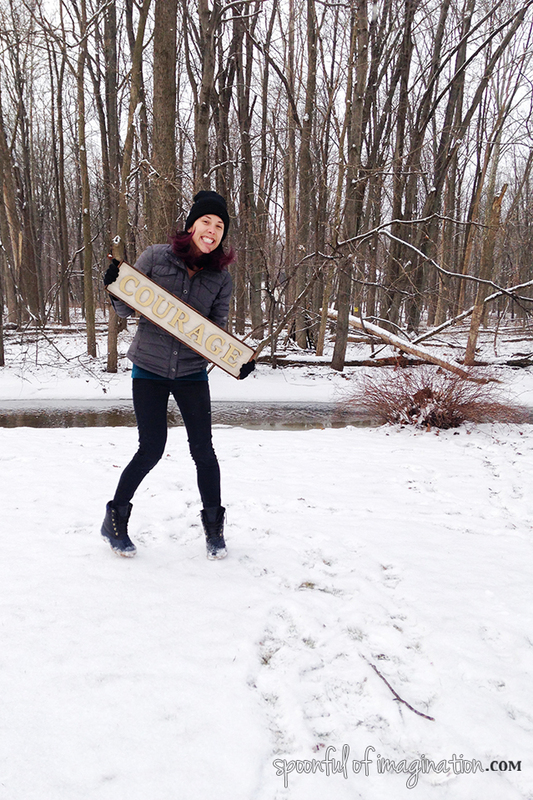 Did you come up with a word for your new year? Tell me @ericadeuel on Instagram. I generally don’t read blogs and believe God brought me to your word to give me the nudge I definitely needed. I found your words to be powerful as they are very fitting for my own life. Would you please tell me what two books you are referring to?